In Timeless, Claire Tozer muses on the enduring nature of the Australian wilderness through her total immersion in the outback and coastal landscapes. The intense climates, exquisite movements and sounds provide the dramatic colours and strong lines which dominate the canvas of her works. 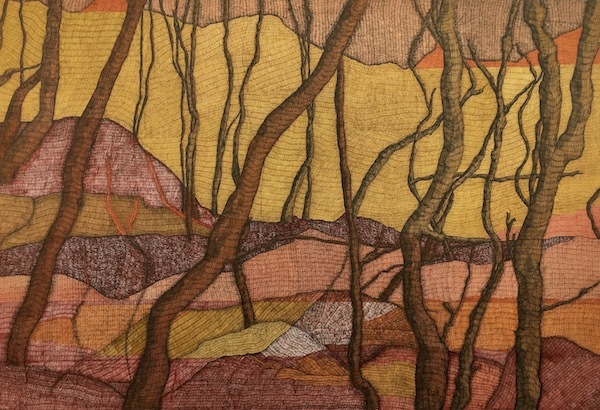 What is particularly poignant is Tozer’s passion for drawing in pigment ink pen and it is through them that she creates symbolic marks, retracing her experience of the timeless landscape layer by layer. The exhibition will be opened by multi-award winning artist and Archibald Prize Finalist, Ann Cape.